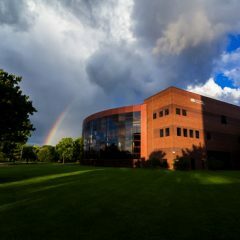 The University of Michigan-Flint’s School of Management ranked as one of the Best Business Schools in the Midwest for 2017. 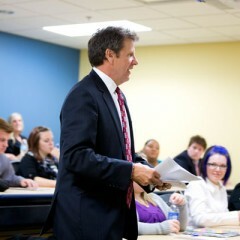 The School of Management was selected along with 294 other business schools by the Princeton Review. The Princeton Review ranks each school based on eleven categories; each category focuses on a different aspect of the school’s learning environment. The ranking categories are the toughest to get into: best classroom experience, best career prospective, best professors, most competitive students, most family friendly, best campus environment, best green MBA, best administered, greatest opportunity for minority students, and greatest opportunity for women. The categories are based off of questions that could be asked on a campus tour and are meant to inform students interested in pursuing a graduate degree. Each category is based on overall school rankings that range from Admissions Selectivity Rating to Academic Experience Rating. Every school has to have, at minimum, one rating on PrincetonReview.com to be selected in the top 294 Business Schools. Up to five ratings can be given per school. 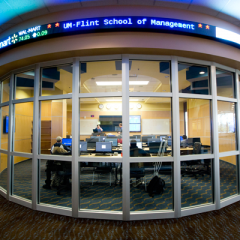 UM-Flint’s School of Management received a selectivity rating of 87 out of 90. Along with students’ comments on diversity, the recent boost of technology within the School of Management struck a positive note with current students. 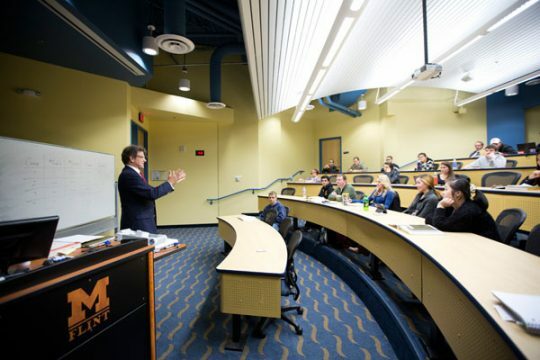 One student said, “there are many high tech study rooms, and a state-of-the-art computer lab, research center, and student organization offices.” These resources provide an advantageous learning environment for business students at the University of Michigan-Flint.